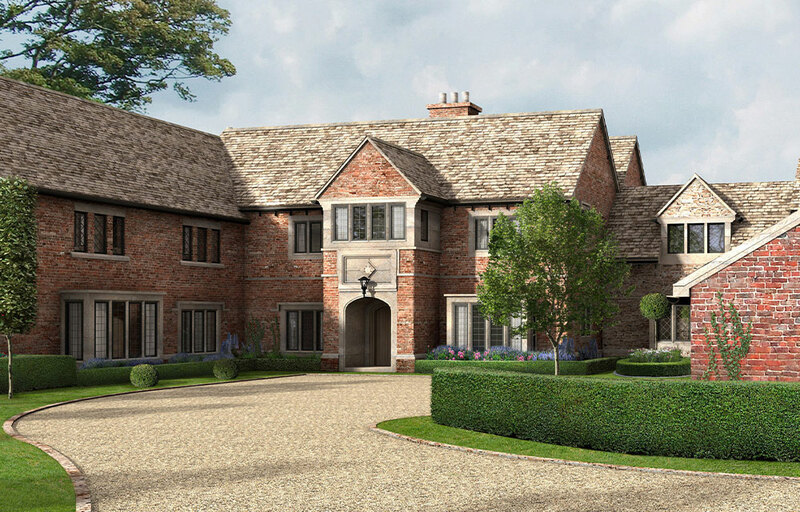 As a practice skilled in designing architecture in the Cheshire countryside, we were approached to design a new 10,000sqft (approx.) single dwelling for private clients on this spectacular nine acres farm. 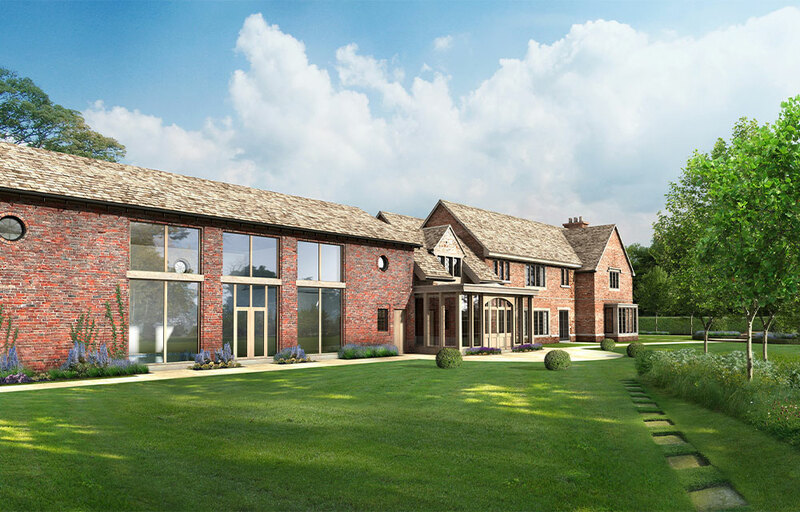 Set within Cheshire’s greenbelt, it sees the replacement of the existing farmhouse and outbuildings for a new manor house, linked into an extended and totally refurbished barn. The brief was prepared via a thorough and intensive dialogue with the Client over a period of many months, to ensure that their specific requirements were achieved. The resulting scheme had to be authentic in every aspect. The materials and style of architecture demonstrate a traditional country property, which integrates the old and new. 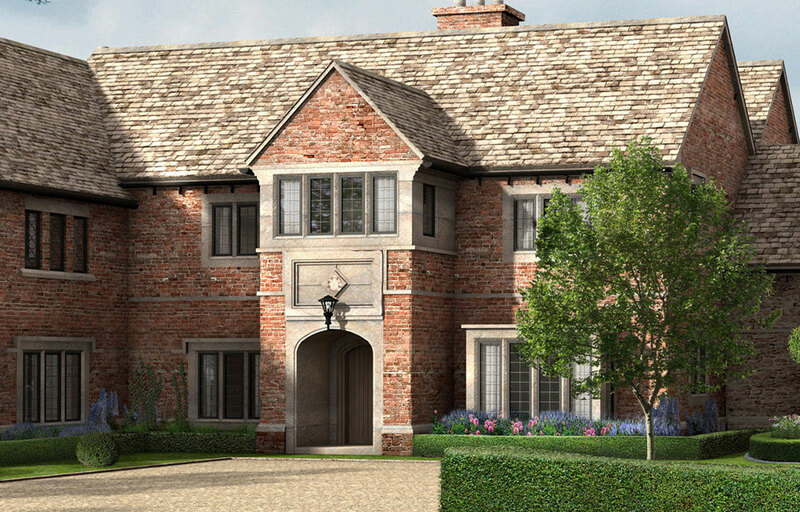 Features such as stone windows and door surrounds and timber frame windows with some use of leaded glazing, give the property a period feel, which is sympathetic to the area. The Client wanted a “Kit Kemp” style of interior, to offer a Leading Hotels of the World quality. Externally, the highly contemporary use of full height structural glazing was allied to the retention of feature brick arches that were part of the vernacular. 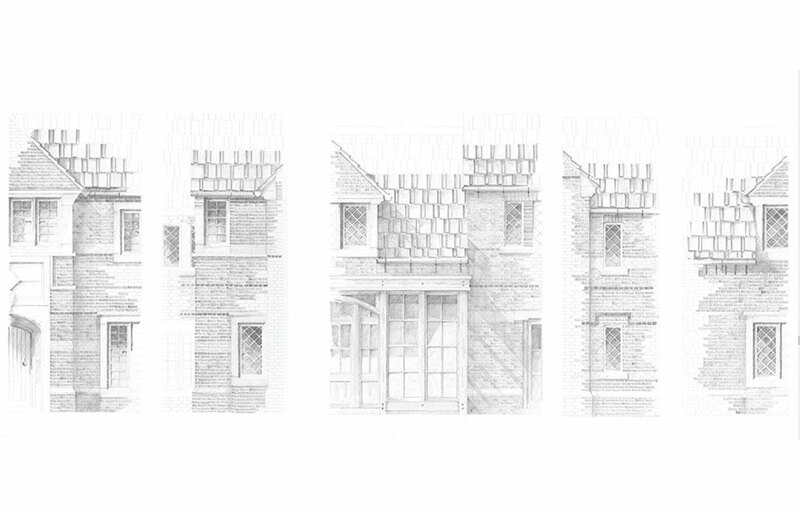 These development sketches show the rustic charm and rural ideal that our Client wanted to retain. The reclaimed stone flag roof and hand made bricks support this eclectic feel. The aesthetic of these sketches were to be maintained through to application. 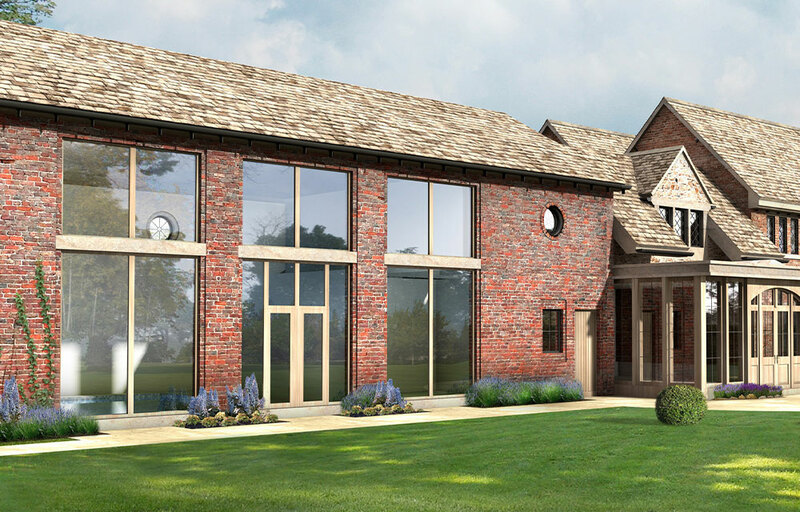 The retention of much of the Cheshire reclaimed brick, combined with a natural Welsh Slate, would enable the end-product to be one of the most harmonious part refurb / new builds that the Practice had worked on. The greenbelt policy was restrictive, as it impacted on the area of external domestic use. To address this, a clever land swap was applied and accepted. This included some of the nine acres to be returned to greenbelt in exchange for an increased area of land to be allocated for domestic use, a garden. This land swap enabled the house to be anchored beautifully to its setting, merging the look of the existing field with the new landscaping, to maintain the rural feel. 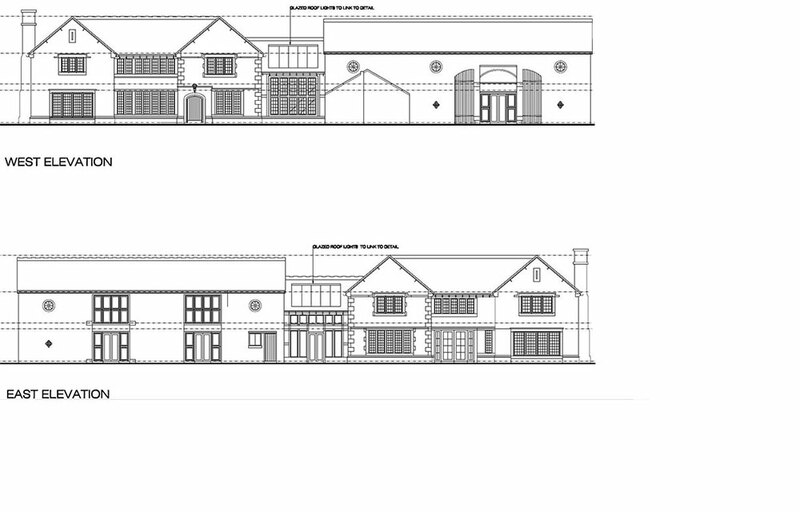 Emphasis was given to the glazing to the barn and proposed orangery, in order to optimise views towards the Macclesfield peaks.